As Israeli music filled the room, each class visited the shuk and students were encouraged to speak in Hebrew as they made their purchases. It was a multisensory program that brought a genuine Israeli experience closer to home. 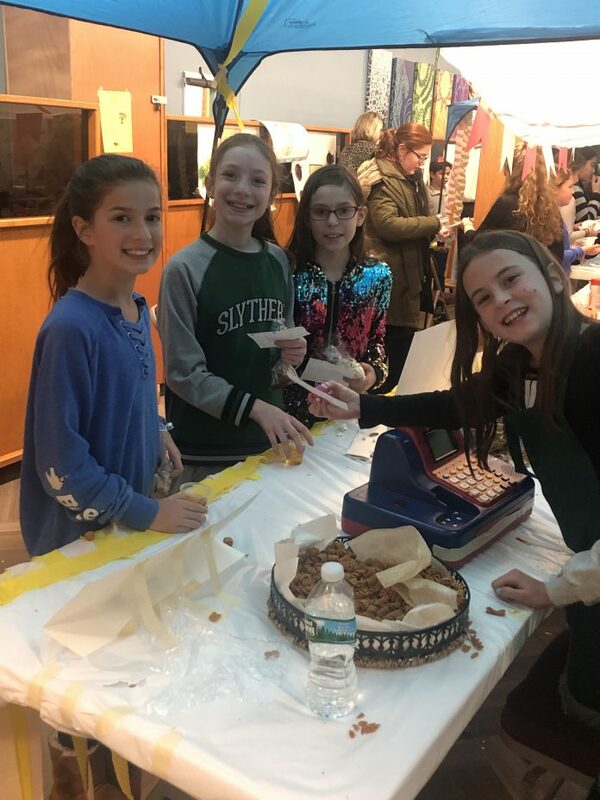 Many thanks to the PTA, Morah Friedler, and the enthusiastic sixth grade girls for providing the entire school with a meaningful and delicious Tu B’Shevat experience. Additional thanks to Rabbi Michael Merrill, HANC’s assistant principal of Judaic Studies, and Morah Dafna Berman, HANC’s Hebrew Language coordinator, for all of their help in making this event such a delicious success. HANC provides a well-rounded education and continuously looks for innovative and unique learning opportunities for its high-school students. 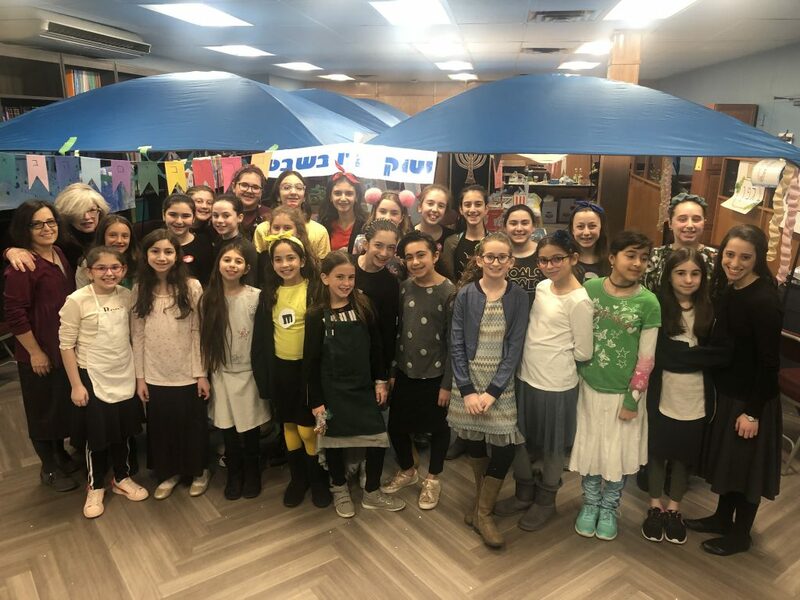 Over the past few years, the limudei kodesh department has created elective courses based on student and teacher recommendations that focus on relevant and interesting topics in Judaism. Courses include Jewish Snopes, Living as a Jew 24/7, Creating Your Best Life, Women in Halachah, Business Ethics, Bioethics, and the like. This semester, a group of junior and senior girls began a course in Bioethics and Halachah. The course, taught by Rabbi Etan Ehrenfeld, will explore many important and contemporary topics in the field of bioethics and how they intersect with halachah. Sources are introduced from a multitude of Torah scholars to further discuss the topics and the conflicts surrounding them. Some of the topics include organ donation, vaccinations, and surrogate motherhood. The course exemplifies how the worlds of Torah and science intersect in our classrooms and in the lives of students.